Fierce debate is raging here in our home. It’s not just that some of us like raw and some of us like roasted. This dispute is far more profound. One camp posits that raw almonds are vastly superior to roasted, and can’t fathom how anyone could possibly prefer roasted to raw. The other camp holds the reverse. The roasted proponents are convinced that humans with normal taste buds naturally prefer roasted almonds to raw, so taste buds that prefer raw must be an aberration. And the pro-raw folks are convinced of precisely the opposite. And how about you? Which do you prefer, raw or roasted? On second thought, who cares which preference forms the majority? Would that make the minority taste any less valid? This whole nutty conflict is kind of tasteless. Indeed, this sort of debate is in poor taste. It leads to no good. Sadly, problems arise when people who feel roasted is vastly superior to raw, take it a step further and suggest that consequently, people who prefer roasted are superior to those who prefer raw. And vice versa. It all sounds nuts, right? Why can’t we just take our differing preferences with a grain of salt? 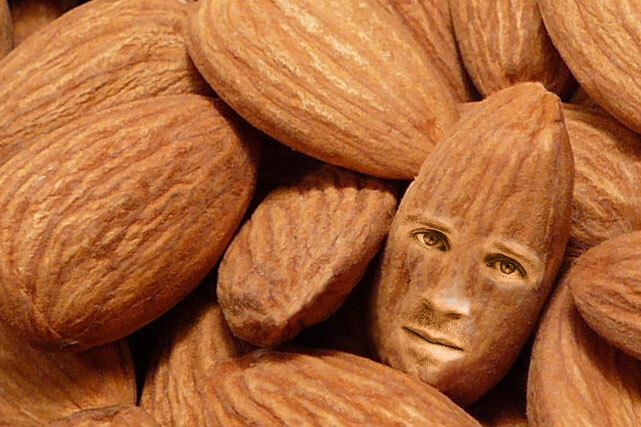 Can’t these roasted roasters and raw supremacists appreciate that we’re all almond-lovers in spite of our differences? Don’t they understand that whether roasted or raw, salted or unsalted, we’re all-mond-eaters one and the same? We’re All of the same Mundo. We’re in this together. You and I are just two sides of the same nut. Why do people go nuts over our minor differences and fail to appreciate our broader commonality that eclipses those trifle disagreements. Humans are a bunch of nuts anyway. You’re no less (or more) nutty than anyone else. Whether you prefer welcoming immigrants over protecting citizens, or protecting citizens over welcoming immigrants, each person has his/her reasons (“טעם” taam, which also means taste in Hebrew). Whether you prefer protecting schools to protecting 2nd-Amendment rights, or protecting citizens’ rights (& liberties to protect their own children) over arguably preventing school shootings (by an unbalanced person who had access to a legally-obtained weapon) etc, each indivual has her/his taam. Of course, these are all important discussions, in contrast to the silly and inconsequential “great almond debate,” but can’t we debate them without ad hominem and condescension? Can’t we acknowledge that in most cases, the other person might have valid concerns too, even if we disagree in practice? We don’t have to agree on everything from soup to nuts, but at least we can respect each other. All the rancor and polemics nowadays are driving me nuts! If you’re shaking your head in disagreement, well, then you’re a tough nut to crack. Nuts to you, nightingale. I guess you better stick with your like-minded nuttier friends. Heaven-forfend you hear another opinion that (gasp) has merit too! Just kidding. (There I go again with the ad hominem). I guess we’ll have to respectfully agree to disagree. Different strokes for different folks. Anyway, I gotta get back to munching on my almonds. Michoel Green loves teaching & writing. 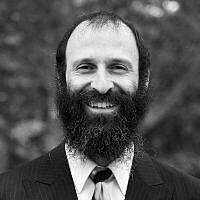 Ordained in NY, he has over twenty-five years experience in Jewish outreach & education. Formerly a rabbi in Poway, California and Brisbane, Australia, he currently directs the Chabad Center in Westborough, Massachusetts. A published author, he blogs and lectures widely on themes pertaining to Torah and contemporary thought, with special emphasis on the final Redemption and its unmistakable signposts in current times.